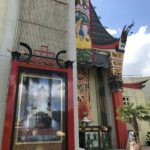 6) Chinese Theater at Disney-MGM Studios: Perhaps it's because I grew up in Southern California, but seeing the Chinese Theater just isn't something special. And it's not Disney. I do enjoy the ride inside so points for that, but ultimately this is my least favorite of the icons. 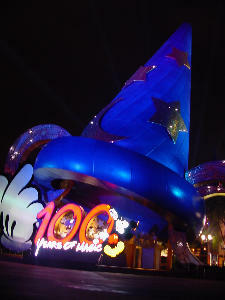 5) The Sorcerer's Hat at Disney-MGM Studios: So sue me – I prefer the hat to the theater. I don't like that they put a shop underneath it, but other than that I like it. I like seeing something Disney at the other end of the street. Bonus points for the hat's nighttime lighting. I have a great memory of leaving the Brown Derby years ago to an empty Hollywood Blvd. and getting some great shots of the hat at night. 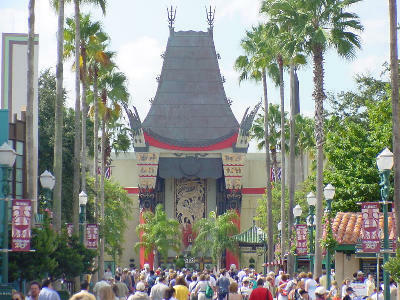 4) Spaceship Earth (wanded) at Epcot: This was a tough choice for me. I don't hate the wand. I even like the wand. But ultimately this loses out to the original version. 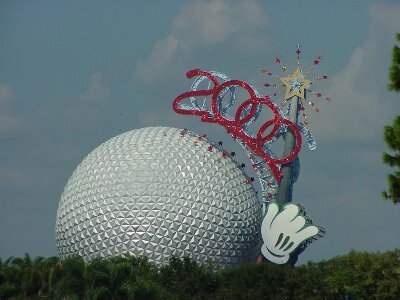 But even with the wand and "Epcot" Spaceship Earth is an amazing icon that beats out either of Disney-MGM Studios'. 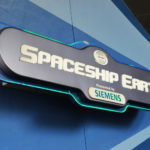 3) Spaceship Earth (original) at Epcot: The original Spaceship Earth is one of the most recognizable icons in the world – certainly more than any of the other park icons and it's great to see it back. 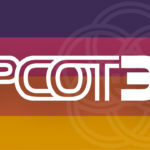 A park as original as Epcot deserved an original icon and Disney came up with a timeless winner. And riding inside it and all the way up it never ceases to amaze me. 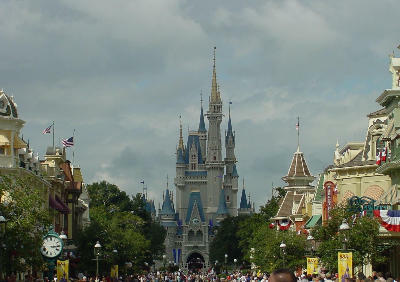 2) Cinderella Castle at Magic Kingdom: I grew up a Disneyland, but I've always preferred the grander Cinderella Castle at WDW (even though the first time I saw it, it was dressed up as a birthday cake). Even though it's colored very simply, I have so many pictures were it looks so beautiful against the cloudy Florida sky. And at night it makes a great canvas for some beautiful lighting. 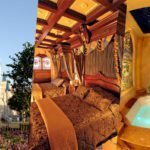 Also on its side is the fact that you can go inside it to the Royal Banquet Hall or, if you're lucky enough, you can actually stay inside the Royal Suite. 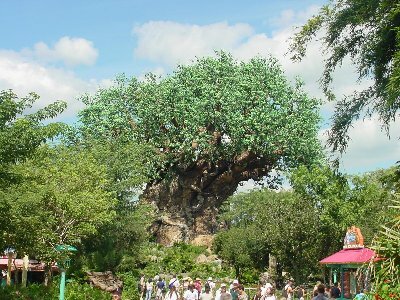 1) Tree of Life at Animal Kingdom: It's as close to perfect as I can imagine. It's huge so it's visible from quite a distance. Yet inside it doesn't over power. The park is designed so it can be seen from so many places yet its initial reveal as you come to the Discovery Island bridge is breathtaking. And while it's beautiful from a distance, it takes on a whole different life as you get closer and move around it. You could probably study it for hours and continue to find new things. Absolutely perfect. And putting an attraction inside with a queue that weaves around it is the icing on the cake. That's my list. How would you rank them?